Singularity University, the technology focused education institute and global business accelerator has announced a new multi-million dollar agreement with Google aimed at breaking down barriers to technology innovation by creating opportunities for a more diverse group of entrepreneurs from around the world. Through the agreement, Google will provide $1.5 million annually for the next two years to help fund qualified and selected candidates to Singularity University’s (SU) flagship Graduate Studies Program. The Graduate Studies Program (GSP) is a ten week immersive experience that educates and empowers the best minds to use exponential technologies to solve the world’s greatest challenges. While SU’s sponsored Global Impact Competitions winners will continue to comprise a substantial portion of the GSP class, the new Google funding will enable SU to also make the remaining seats in the program available free of charge to direct applicants. GSP participants are engaged in nine tracks of exponential technology development and mentored by leaders and investors in the technology sector with the focus of abating poverty and creating innovative solutions in the areas of clean energy, water, education, security and healthcare. Applications are now open for the 2015 Graduate Studies Program through SU’s direct admission online. “The new agreement with Google is an incredibly important pillar in our efforts to increase global access and diversity for qualified candidates, regardless of their ability to pay,” said Rob Nail, CEO and Associate Founder of Singularity University. “As a graduate of an SU program, I can speak first hand to the life changing experience SU offers in inspiring thinking about how technology can improve the lives of billions. Google’s support will further help to break down barriers of access to the Silicon Valley network of technologists, business leaders, and investors,” Rob Nail said. Google has long understood the importance of breaking down barriers to be active participants in the creation of technology. 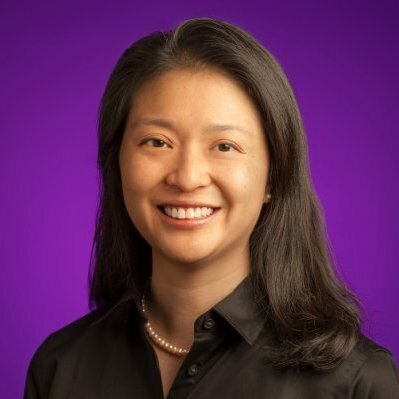 “At Google, we believe in the power of access, and we work with organizations to create broad and diverse communities to be change agents,” said Mo Yun Fong, Director of Google’s education outreach programs. Google | What does it mean for a classroom or school to go Google. Learn all about Chromebooks, Google Apps for Education and Tablets with Google Play for Education and how together these powerful tools can transform teaching and learning. The Graduate Studies Program convenes future leaders and entrepreneurs from around the world in a ten week collaborative experience to develop team based technology solutions to widespread global challenges. During the GSP, participants are challenged to design a sustainable global solution to positively impact one billion people by leveraging exponential trends, innovation, and the power of entrepreneurship. Singularity University | Impacting one billion people. Bibak, a team of women from Graduate Studies Program 2014, made a pledge to ensure that every person living in a post conflict area should live a life free from the ever present fear of landmines. This team, with members from Italy, Australia and Peru created the Bibak podtector, an effective and inexpensive landmine detector that can be assembled on site and delivered in a way that is sustainable, coordinated, and community led. When we think of the fragility of ecosystems, we often think of the decline of fish stocks or large predators, but it is the decline of the lowly bee that could have the greatest impact on humankind with the total number of managed honey bee colonies now decimated from 5 million in the 1940s to less than 2.5 million today. A Graduate Studies Program 2013 team project created a smart beehive monitoring system with real time optimization of hive conditions, thus reducing the risk of colony failure. Matternet, a team project from Graduate Studies Program 2011, had the vision to use unmanned aerial vehicles (UAVs) to ferry medicine and other goods to remote places, such as rural villages in Africa where people often have to walk 20 miles or more to a clinic to receive treatments as simple as blood tests or pills. With Matternet, UAVs will carry the payloads for a substantially lower cost than ground transportation. Priv Bradoo first considered the idea of extracting valuable metals — copper, silver, platinum, etc. — from discarded electronics (e-waste) at Graduate Studies Program 2009. Since then, the company has grown exponentially and now uses existing scaled up mining industry technologies to capture value from the 40 million tons of e-waste that is landfilled or incinerated annually around the world, containing 70 billion dollars worth of precious and base metals. Miroculus, a team project, has brought to life an accurate, easy to use, non-invasive, decentralized, operator independent and affordable microRNA detection platform for molecular data gathering, analysis and interpretation. Singularity University’s mission is to educate, inspire and empower a generation of leaders to apply exponential technologies to address humanity’s grand challenges. Since 2009, SU has hosted entrepreneurs, industry leaders and government officials from more than 85 countries and has prepared both individuals and organizations for exponential technology changes through a series of events, conferences and education programs. SU’s founding corporate partners include Genentech, Autodesk, Cisco, ePlanet Ventures, Google, Kauffman Foundation and Nokia. Singularity University was founded by Ray Kurzweil, chancellor, and Peter Diamandis, chairman, in 2009.